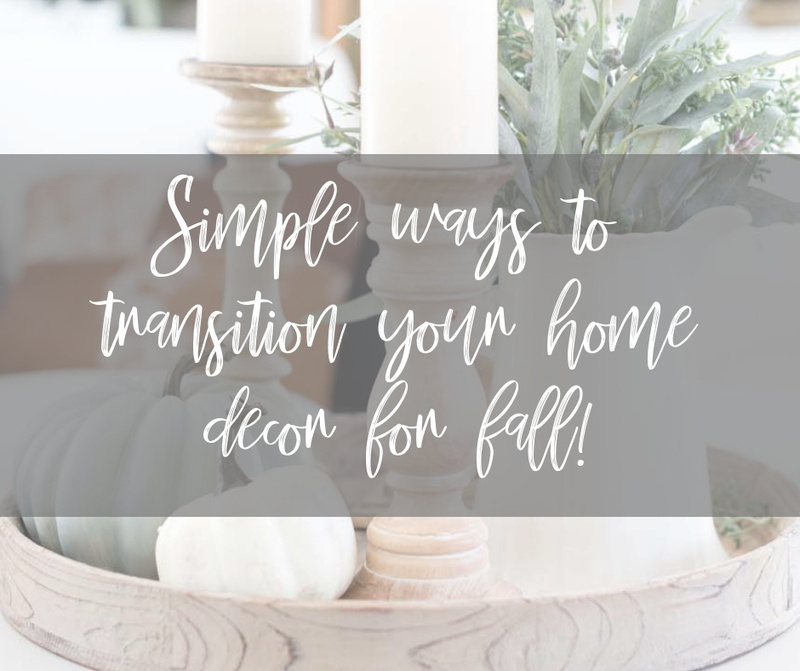 Fall is just around the corner and right now is the perfect time to start transitioning your home decor to match the season! 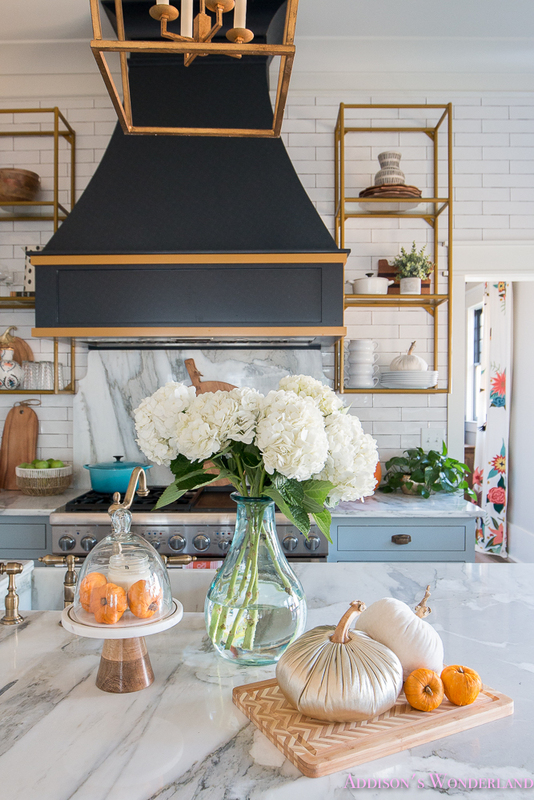 Throw out the idea that you have to hang up every fall wreath and plastic pumpkin you've collected over the years, and take a simple approach to creating a warm and inviting fall vibe. 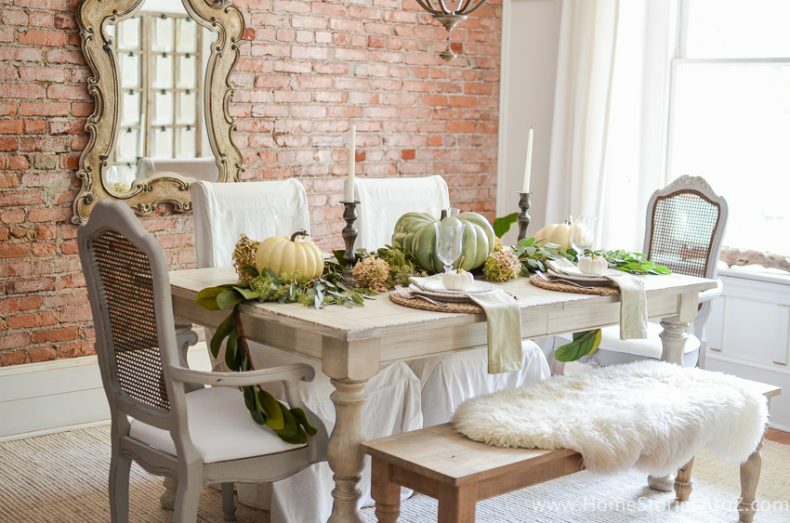 If the thought of seasonal decorating has you channeling your inner Scrooge, keep reading. Try bringing in warm whites, beige, soft greens, etc. in place of the typical orange, yellow, and brown. This can make your space feel cohesive, and less busy. Combine different textures and tones. Think fur, brass, wood, glass, etc. Head to your local pumpkin patch, or even stop by your neighborhood super market and grab a variety of shapes and sizes! Look for varieties that are cream colored. Some pumpkin patches will even have beige and sage colored varieties. You can stack them, use them as part of the tablescape, line your front steps or interior stairs, layer them on the mantel, etc. 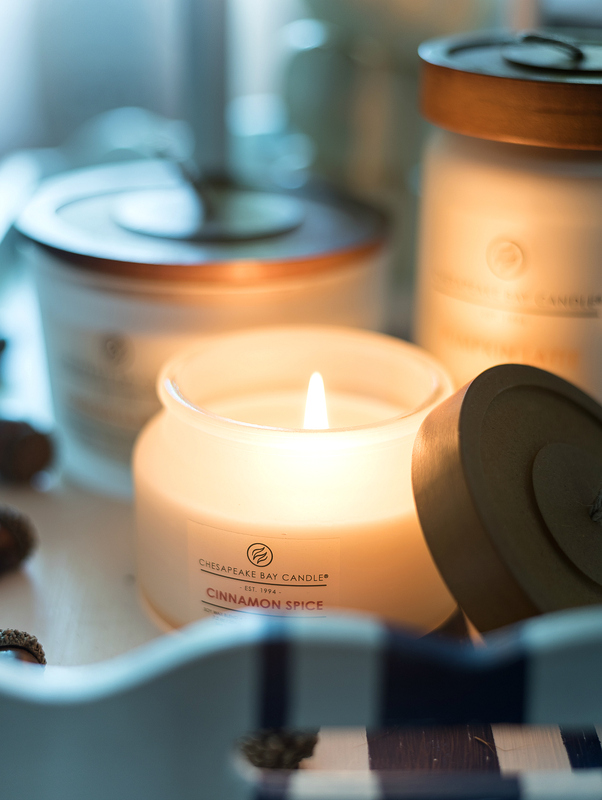 Nothing brings warmth and comfort into your home like a fall candle (the ambiance is a great addition too)! 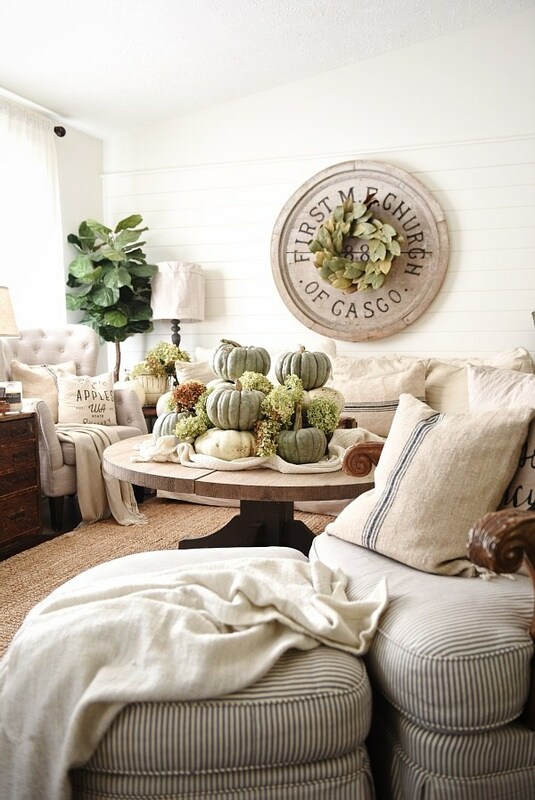 Pair your pumpkins with hydrangeas or peonies, instead of sunflowers or "fall leaves". Find ways to repurpose decorative items you already have in your home (vases, candle holders, cake trays).